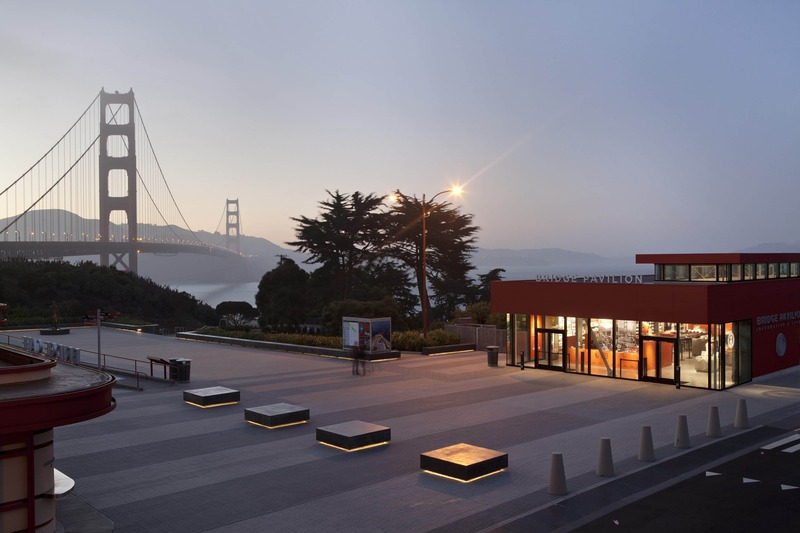 For the 75th Anniversary of the Golden Gate Bridge, Jensen and Project Frog, designed and delivered a new Visitors Pavilion in record time. 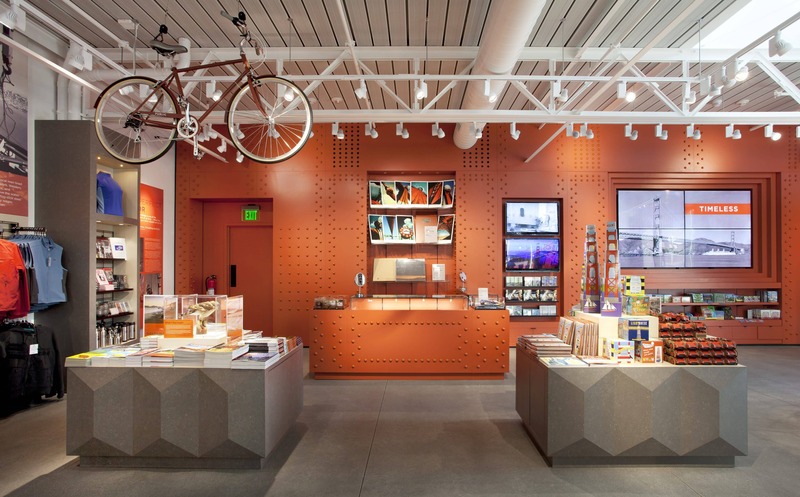 Millions of people visit the Golden Gate Bridge each year, and with the bridge’s 75th anniversary fast approaching, a new pavilion was needed to house interpretative exhibits, an information center, and a retail store. 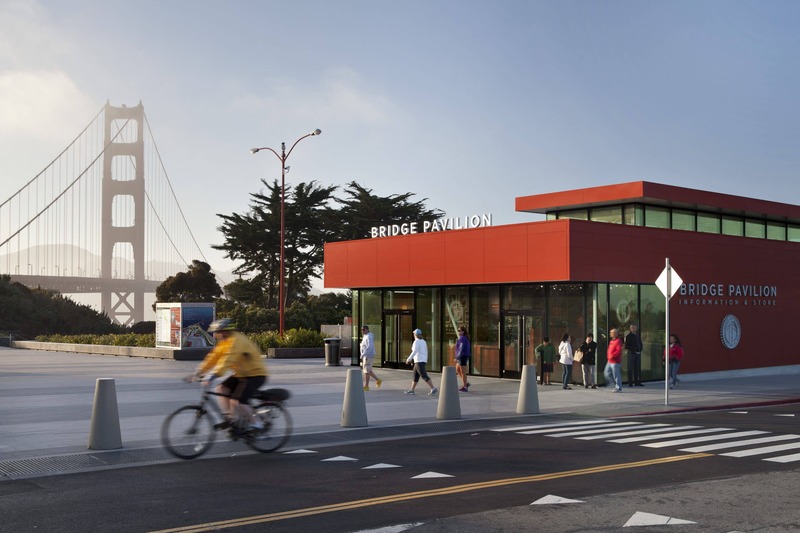 The development of the pavilion was led by Project Frog, an innovator in prefabricated building systems, with Jensen joining in as the architectural design consultant. 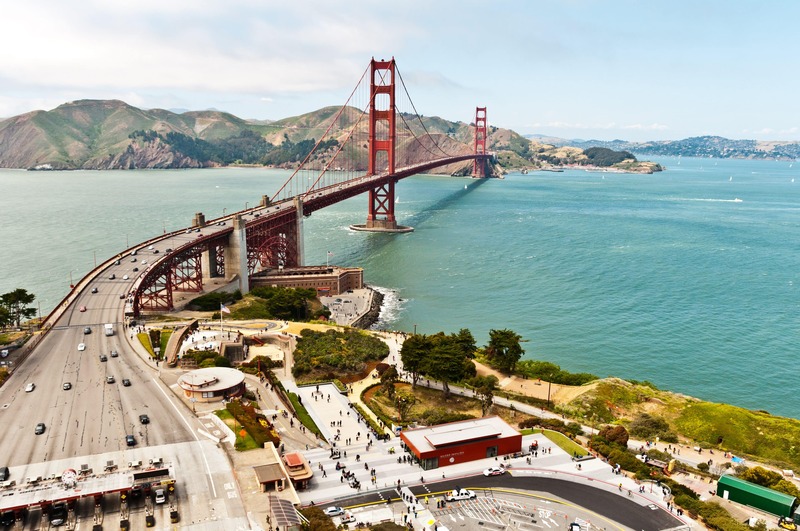 The goal of the collaboration was to make a modern structure that complements the historic setting, and to deliver it in months instead of years. Designing with Project Frog’s prefabricated building systems is like solving a complicated, 3D puzzle. 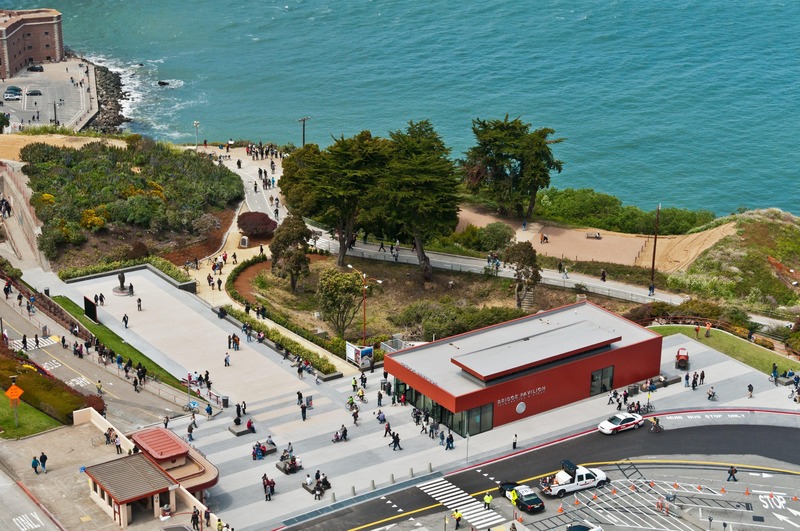 Most of the Project Frog components came from their standard kit, but some were created specifically for the Golden Gate Bridge project: a roof monitor module for enhanced natural night and a glass corner unit for a refined sensibility. 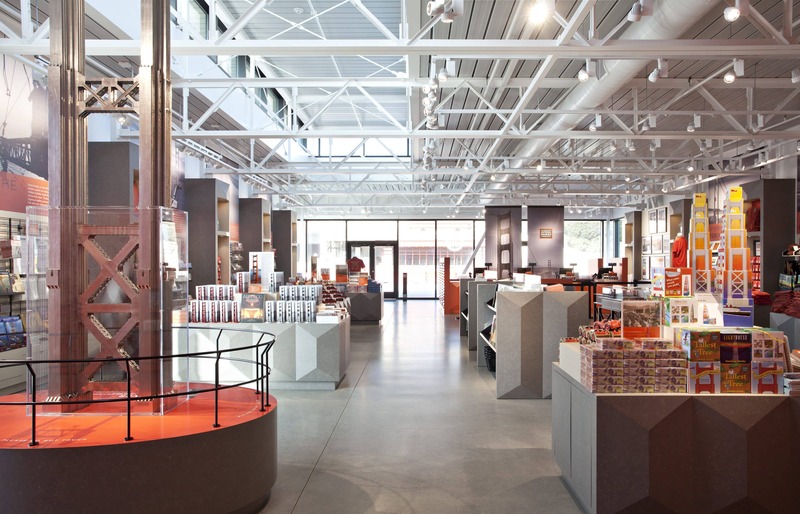 The uniform nature of these components — from wall panels to ceilings, from door frames to girders — suggested and reinforced the pavilion’s geometry and shape. The construction, from start to completion, was roughly three months. All components were fabricated off-site and quickly assembled on-site. 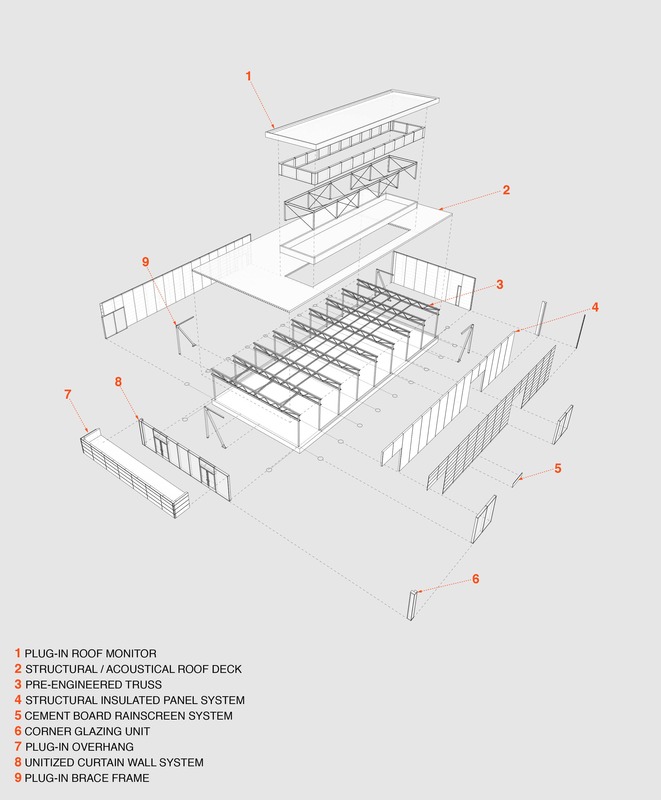 The site became a test bed for this new iteration of Project Frog’s kit, a more flexible core and shell system capable of expanded building sizes and even multistory designs. The system’s success — an award-winning design delivered in record time and under budget — opened the way for expanded applications, for commercial space, schools and even medical offices. 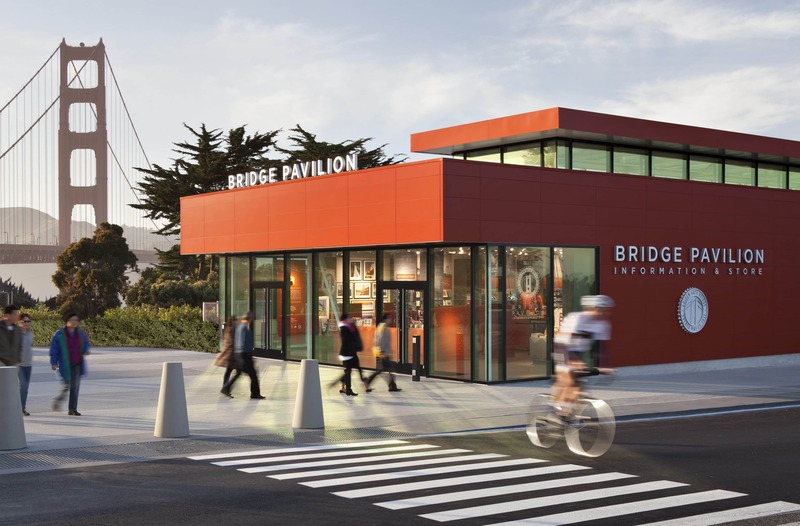 The finished building is the color of the bridge itself, a choice that the historic plan didn’t automatically allow for. 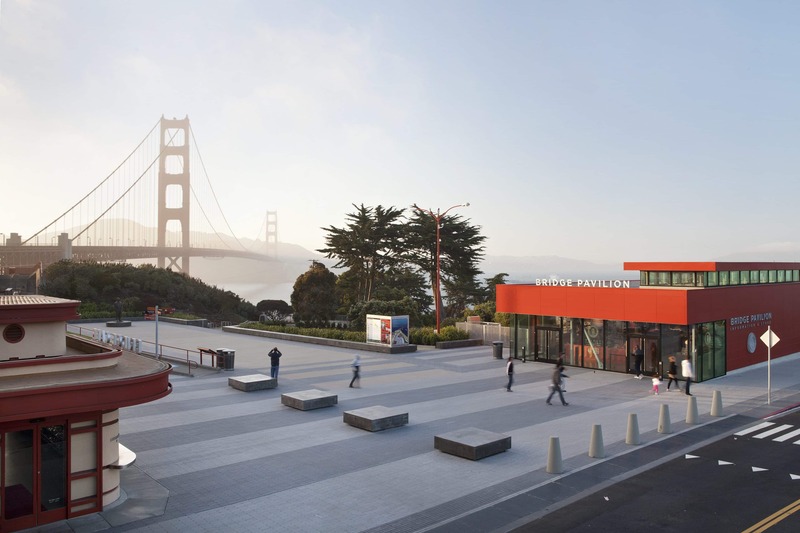 Jensen made the case for using the official hue, known as International orange, citing the building’s prominent location and the anniversary it was designed to celebrate. 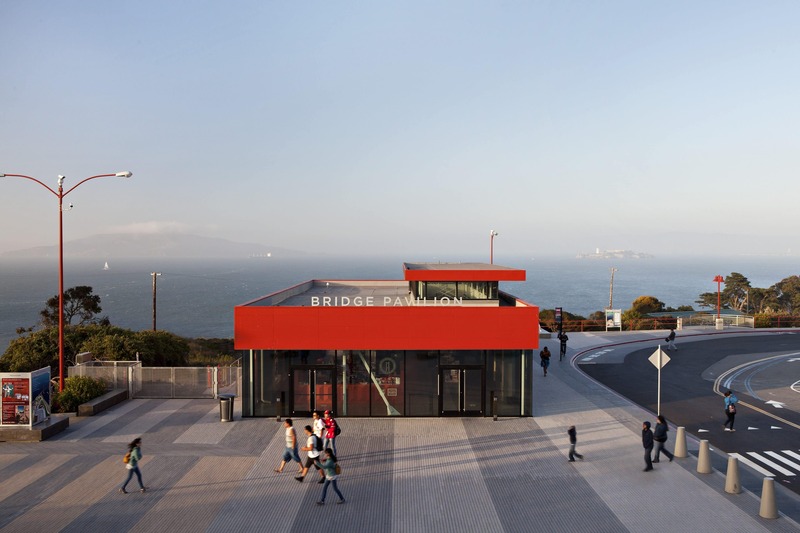 The innovative, vibrant pavilion introduces visitors to the bridge, its history, and the Bay. It responds to the massing of other buildings on the historic site while standing out as a new civic amenity with its own strong identity. Allied Heating & Air Conditioning Co.